4.3 out of 5 based on 42 bloggers and 3 commenters. 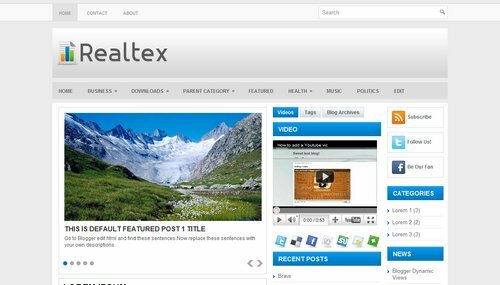 Realtex is a free blogger template adapted from WordPress with 3 columns, magazine-styled, right sidebar, ads ready, footer columns, slider, posts thumbnails, tabs and drop down menu. Nunca parem de postar templates, são os melhores já achados! hi ı have a problem with the page views, the pages are very small as if they are a post in the main page, so here is the question, ı want to have a full width page, can ı do that?